On January 9, 2019, the Majzooban Noor website, which publishes information about issues related to the faith in Iran, referred to as Gonabadi Dervishes, reported that the verdict was issued by Branch 1145 of the Criminal Court for the charges of "publishing falsehoods" and "insulting agents carrying out their duties." "Shahnaz Kianasl, one of the imprisoned Gonabadi Sufis, was bleeding in her stomach and when her condition got worse, she was transferred to the hospital and later was released from detention. But she wasn't receiving medical attention when she was laying sick in the clinic in Gharchak Prison. At the time, Elham [Ahmadi] had given a phone interview about the unsuitable health conditions and medical services inside the prison and this angered the head of the prison and he threatened to sue her for disclosing prison secrets." "Now, because of his lawsuit, she has been sentenced to lashings," added the source who requested anonymity for security reasons. Ahmadi was arrested in Tehran on February 20, 2018, during a violent confrontation initiated by the police against dervishes who had been protesting in a neighborhood of Tehran demanding the release of a fellow Sufi from detention and the end to the house arrest of their faith's leader, Nour Ali Tabandeh. 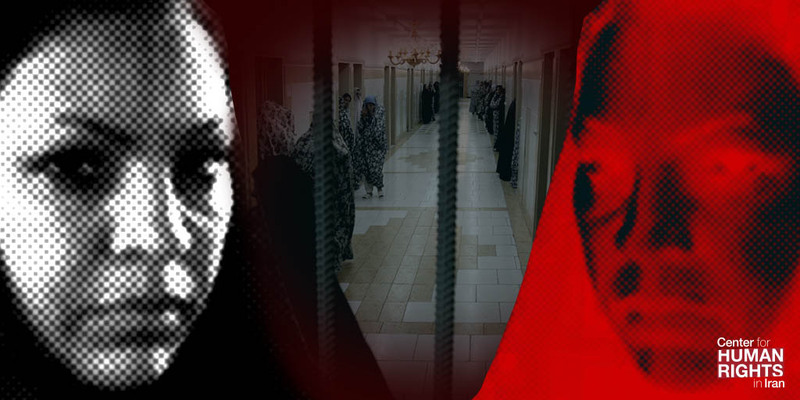 "Each prisoner has the right to receive one visit in person per month but since their detention, the Sufi women have only had two family visits, once in April and another in August," the source told CHRI.